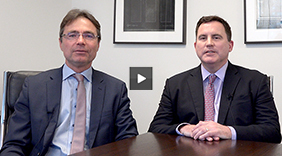 Which trading opportunity brings former Salomon Brothers traders out of retirement? Which party are they joining? How has Falcon Private Bank invested over one billion dollars of inflows during 2012? Also SkyBridge Capital's asset base grew by more than $1.5 billion over the past 18 months: where is SkyBridge investing? Which volatility product grew +145% year-on-year on Eurex? Are foreign hedge funds still moving into Switzerland? Where are Swiss regulations heading? Can overseas managers still market into Switzerland? What will be the new Qualified Investor definition in Switzerland? Will over-regulation kill innovation in the financial industry? Why did Swiss hedge fund of funds (FoFs) fare much worse than US FoFs during the recent crisis? Will the financial crisis in Europe be sorted out in two years? Permanent capital: How can hedge fund managers collect assets from private equity, mutual funds and many other investors they usually cannot access? Future growth and asset flows for alternative investment managers will probably not come from the private banking sector, but more from institutional asset management, including family offices. The traditional Swiss private banking model is challenged, and private clients are risk averse at the moment. However, pension funds need higher yielding assets that ideally are uncorrelated with other asset classes. The Swiss pension scheme pool is a $700 billion market, and the insurance market represents another $700 billion. “I believe this is one of the best environments ever to raise assets in the institutional market if you have the right product with controlled risk,” says Dr. Urs Ramseier from Twelve Capital, whose firm grew to close $1 billion after launching just in 2010.